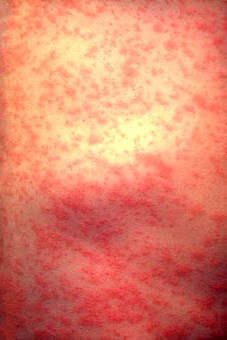 NSW health authorities have issued official warnings following a measles outbreak on the state’s north coast. Two young travellers appear to have acquired the disease while holidaying in the Philippines earlier this year before returning to the Gold Coast via Singapore. NSW Health has issued a warning for people who were on Scoot flight TR6, which departed Singapore on Friday 29 March and arrived at Coolangatta International airport at 8.10am on Saturday 30. The travellers also reportedly spent time at shops in the town of Pottsville and a medical centre in Murwillumbah before being admitted to the emergency department of Tweed Hospital. Greg Bell, Acting Director of Public Health for the Mid North Coast and Northern NSW Local Health Districts, said there is no ongoing risk at the locations, but people who were there at the same time as the travellers should be aware. “The local public health unit is working with the medical centre and hospital to contact other patients who were present at the same time as the infectious people and offer preventive treatment as appropriate,” Mr Bell said. It can take up to 18 days for measle symptoms to appear, which include fever, sore eyes and a cough followed by a red, blotchy rash spreading from the head and neck to the body. Mr Bell said preventative vaccine injections can be given to highly-susceptible people for several days after exposure to measles. “The measles-mumps-rubella vaccine is safe and effective protection against measles,” Mr Bell said. NSW Government health alerts are accessible here.